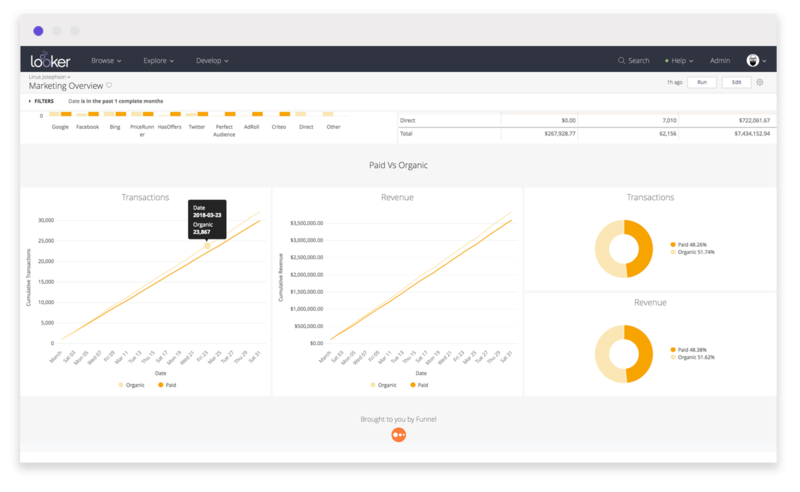 Funnel is a marketing data collection and reporting software that automatically collects data from all of your marketing platforms. This Block makes it easier for businesses to combine all their marketing and advertising sources in a single view to obtain the complete overview of their marketing efforts. 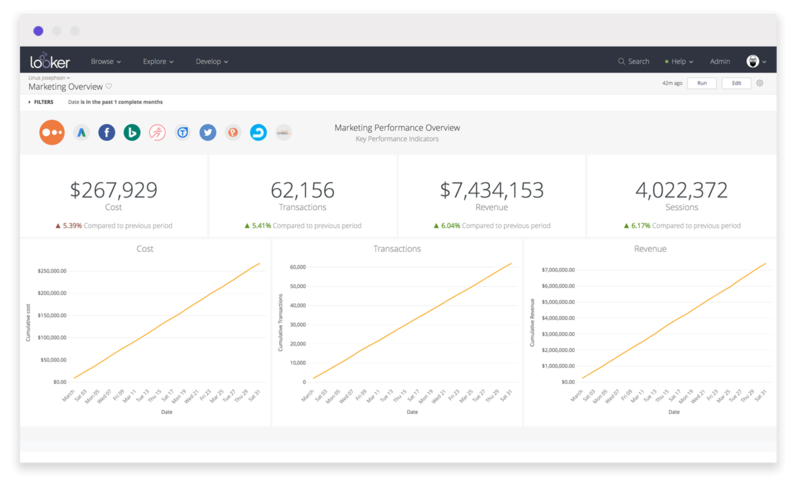 Complete overview: Obtain a complete overview of all your marketing and advertising efforts in one dashboard. 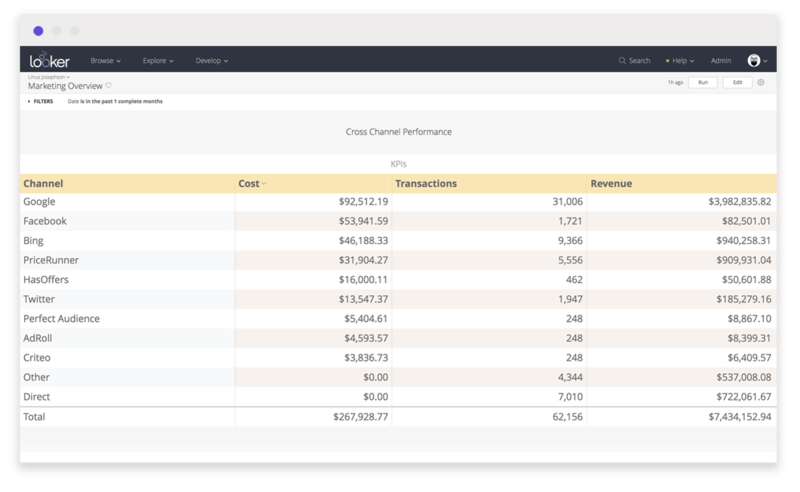 Funnel allows you to feed data from all advertising and marketing platforms into Looker. Ad platform comparison: Easily see and compare how your advertising platforms are performing against one another. Prior to using this Block, all you need to do is connect your marketing and advertising sources to Funnel. 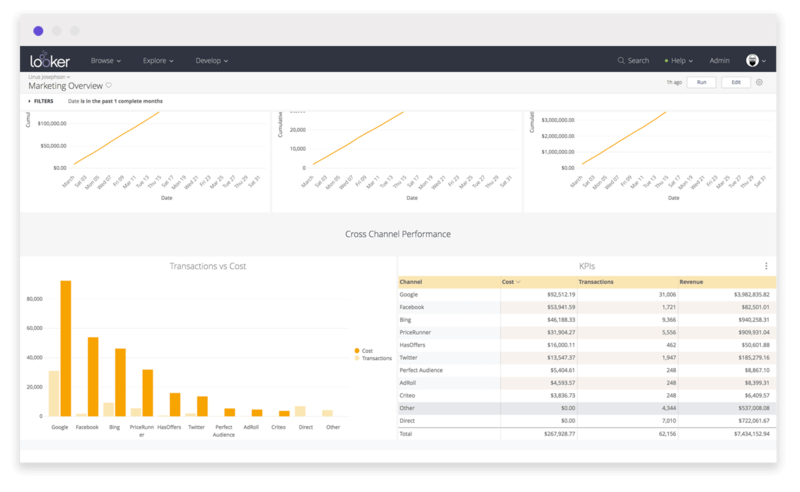 Get started by booking a demo at https://funnel.io or reach out to your Looker representative.